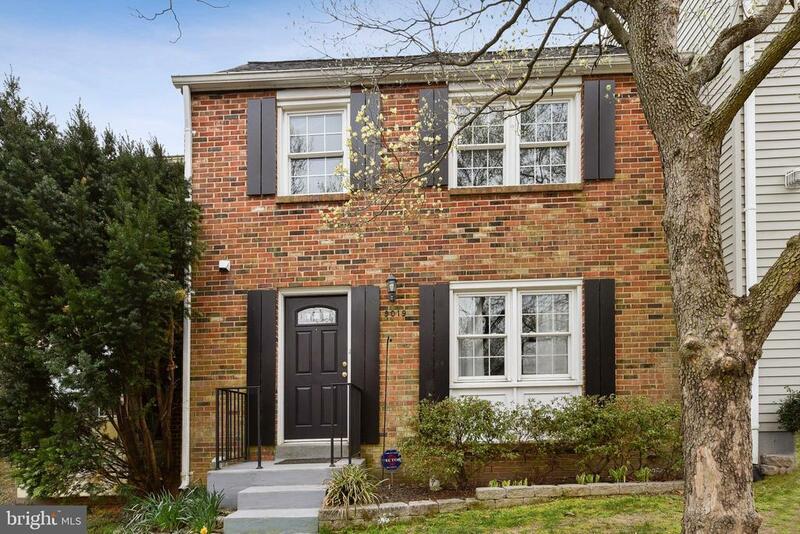 This home has connections, about mile to Vienna Metro, Mosaic, Tysons, Fairfax hospital all so close..this location is perfect! Quiet, deadend street/cul de sac with sidewalks, and HOA takes care of grass cutting in front! Rear yard is pavers/patio/garden and flower beds, and privacy fenced, so no yard maintenance. New roof, almost new kitchen appliances, new full bath up, fresh paint, new carpet upstairs. No pets or smoking home. Upper bath has just been totally redone: tub, tile, vanity, floor, fixtures, and lighting! Master has a room sized walk in closet and an additional closet. Walk out basement with full bath, window, and a wall of custom built in cabinets for games and extra storage. Kitchen was remodeled around 2010, and appliances were updated in November of 2018. Tile floors in kitchen, hardwood floors in dining room and living room. New carpet in upstairs bedrooms, carpet in lower level in excellent condition. 3 Bedroom, 2.5 baths, 3 finished levels.